February 10, 2012 – Persistent and mean spirited nastygrams were received this morning by avid readers complaining that yesterday’s BRAINTEASER contained only eight questions and not, the requisite ten. One fan wrote: “Dear Ziad, you are so stingy. You wouldn’t even buy a drink for your own mother and the bar. And now this outrage! Try to be more sensitive in the future. Your mother, Rose”. Well, I mean, what the hey. What happened was we were doing the Brainteaser until 3:30 p.m. which is our traditional time for cocktails. After spending some time over martinis, all of us felt that it would be imprudent to go back to the office to complete the questions. Be that as it may, we have gone beyond ten questions today. We are giving you eleven. How’s that for generosity? Okay, good luck. Winner and prize to be announced tomorrow. 9. What would happen if Manuel “The Pineapple” Noreiga married Mauza, First Lady of Qatar? 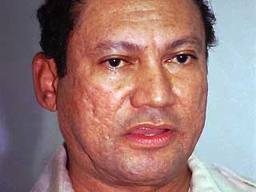 Manuel Noriega, seen here, displays the pock-marked cheeks that endowed him with the sobriquet “La Pina” or “the Pineapple. e. With some rum added, it would make a great Banana-Pineapple Fizz. 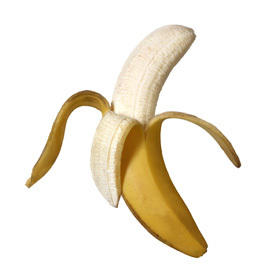 “Mauza”, Prince Fatso’s wife and First Lady of Catarrh, means “Banana” in Arabic. e. Qatar. And you know why, right? All right. I think we went the extra mile to satiate your lust for brain-challenging questions. Don’t forget, the winner is announced tomorrow at 12:00 p.m. The Grand Prize will be, as always, something really valuable.